My home town is known as The River City for a reason. I created this image back in June and only recently decided to work on it to bring out all it had to offer. It was shot with a Nikon D800 and a 24-85mm zoom lens. It’s an incredibly sharp image – the detail in the buildings on the far side of the river is amazing. There are about a dozen Great Blue Herons at various points in the river. Might be hard to see here, but the full printed image shows them quite clearly. Come by my Studio at Art Works and see for yourself! 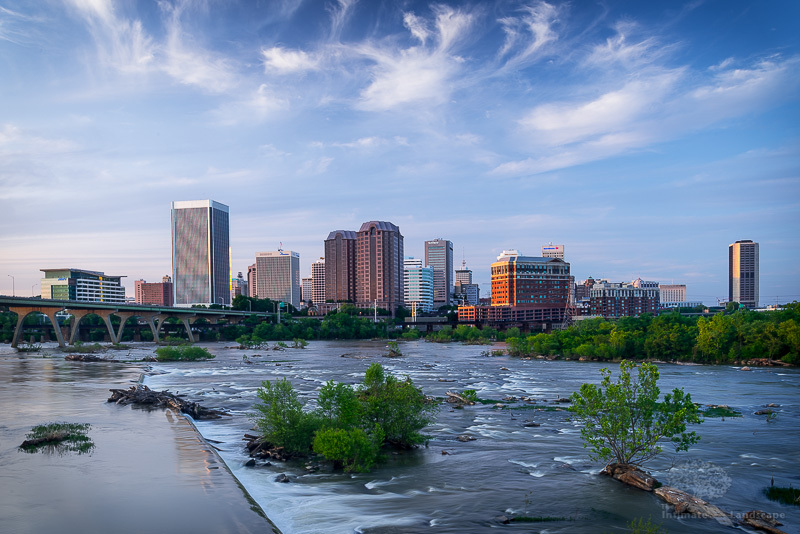 This entry was posted in James River, Landscape Photography, Wildlife and tagged Downtown, Great Blue Heron, James River, Richmond, Sky, Skyscrapers, water.